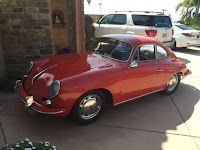 Buy Classic Volks – found this at Craigslist nice classic Porsche being offered for sale in Encinitas, California asking $48500, as shown here is Porsche 356C released in 1965 is a final year of the 356 model come with a rebuilt 1722cc engine (unoriginal engine). All looks good for its age and promising, but is not perfect needs few work to be greats. If you are interested a closer inspection is needed to accurately calculate how far is worth to take it home. Im back in town so sorry for those wanting to see the car. Ready to show this weekend. I’m the third owner with records going back to the 80’s and a personal relationship with the second owner of the vehicle. Car is original signal red but painted in 1973. Car was stored for decades but recently gone through. Just completed rebuild of motor to 1722cc, but engine is not original. Installed new coil, distributor, Optima red top battery and new wheel bearings . SC Intakes with IDF 40 Carb’s. I have the carb warming flaps but there not on the car. I also have a second set of carbs. Trunk has original tray and jac but sorry no tool kit. 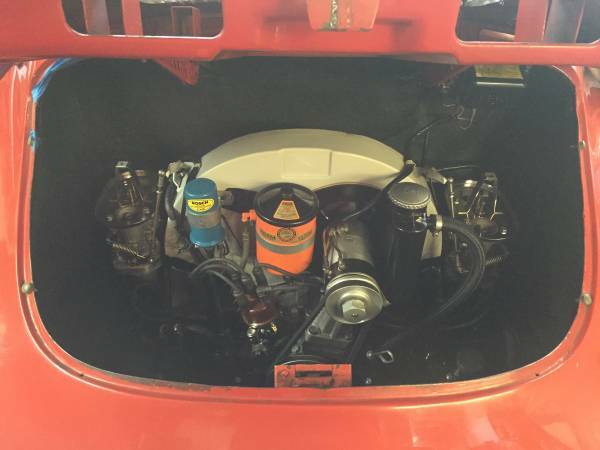 No leaks and engine bay is pristine after build. Basically have 10k. All new rubber recently installed on new headlights, blinkers etc. have $2500 in recepts from wheel bearings to to heater hoses. Also installed LED light bulbs in dash. I had something fall over in my garage so see dent on rear left side that will need to be addressed. I’m told a ding remover company can pop out but paint chipped not sure if I will attempt it. This is the final year of the 356 and original color although someone may have painted it along time ago No rust on undercarriage, battery box or door jam but rust along bottoms of door skins and bonnet tips. Other then that the car is in original form and not hacked up. Interior is black vinyl with only drivers seat needing attention. $48,500. 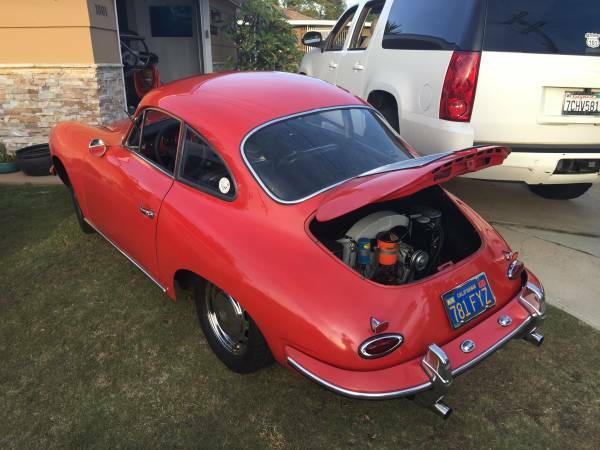 No trades and please no request for more pictures the car is a survivor so come see it it and let’s go for a drive. I travel a ton so for those who have inquired in the past and couldn’t schedule a viewing I’m sorry. So if ad is still up car is still available. Too many cars to enjoy and no desire to restore it myself. 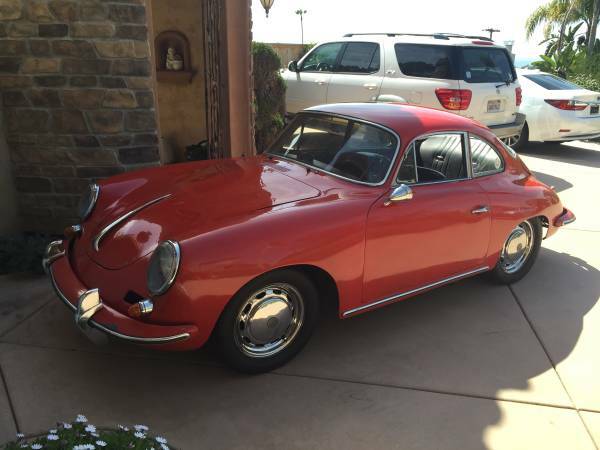 This entry was posted in 1965, 356, Closed, Porsche, USA and tagged Porsche 356 on April 22, 2017 by buyclass.